This year sees the 50th anniversary of that radio perennial Just a Minute. 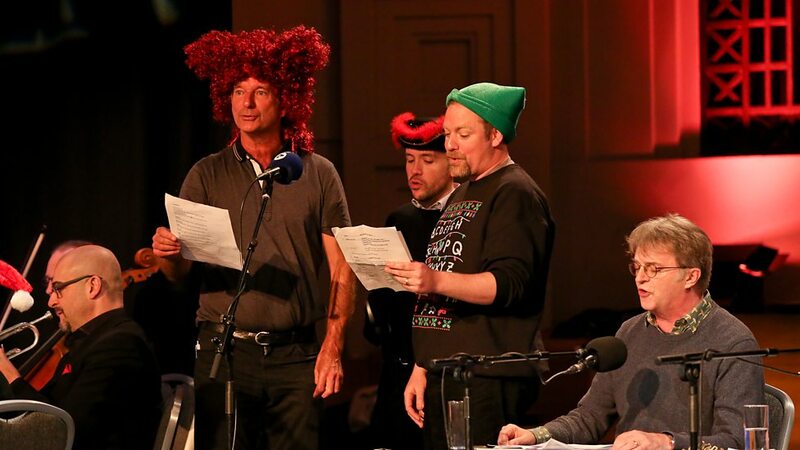 There are some special programmes this month marking the golden anniversary but on Christmas Day last year Radio 4 broadcast this extended version of the game with some added, if rather flimsy, panto elements. Joining the regulars of Paul Merton, Sheila Hancock and Gyles Brandreth are Tony Hawks, Tom Allen, Rufus Hound, Pippa Evans and Julian Clary. As ever the chairman is Nicholas Parsons. The format reverts to a team effort, even if it does sometimes get undermined, a throwback to Just a Minute's predecessor One Minute, Please and there's a lovely nod to the days of Kenneth Williams. Read more about Just a Minute in my recent post Just a Golden Minute.